Just a quick post this time, continuing on from yesterdays about shipping containers. 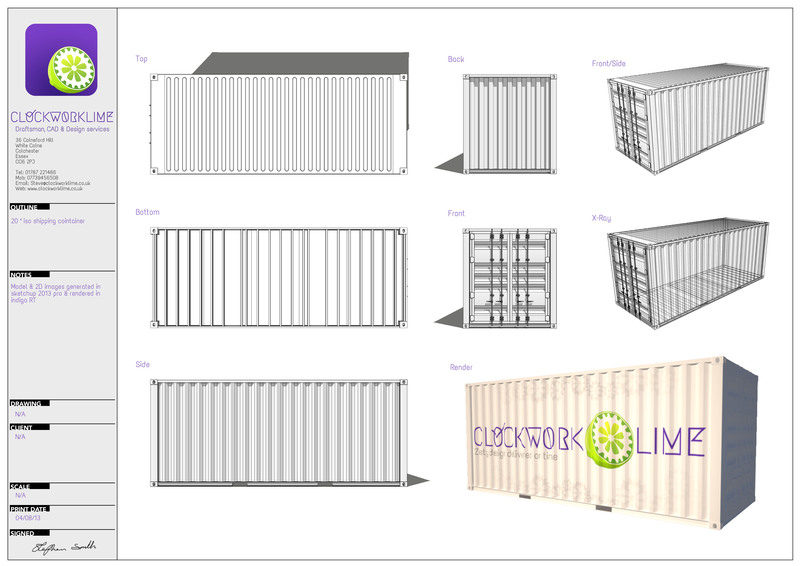 Iv had some time free this morning so also drew up/modelled a 20ft iso container. This will give me the option to use both 20’s and 40’s in my future designs.